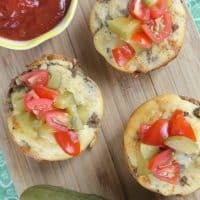 These Loaded Cheeseburger Muffins come together in minutes and make for a fun appetizer, kid-friendly lunch or dinner recipe perfect for busy families. Does your family complain about eating the same thing each night? It is so easy to fall into a rut where you are cooking the same recipes over and over. It can also be hard to try new recipes because you are just not sure if your family will like them, especially if you have kids. 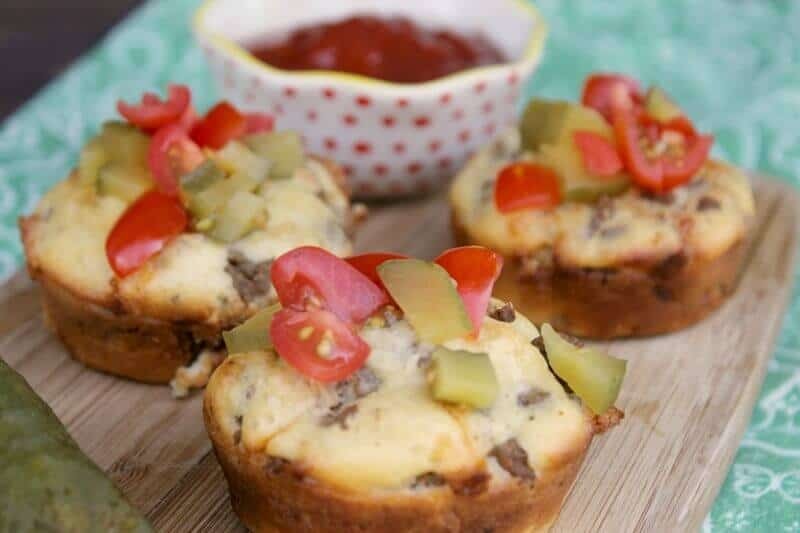 However, this loaded cheeseburger muffin recipe is a recipe that you simply can't go wrong with. Not only is it unique and fun, but your family is going to love these because who doesn't love cheeseburgers? Amiright? 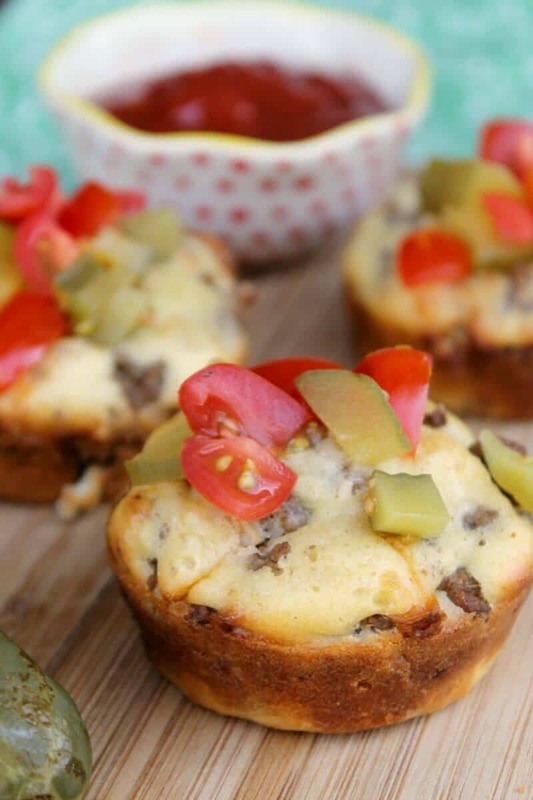 You can make these loaded cheeseburger muffins with either lean ground beef or turkey. Remember that if you purchase lean turkey, opt for the 98% fat free kind so that you will get truly lean ground turkey. The sausage is a must as it adds great flavor, but you can also use turkey sausage to cut the calories. The bacon adds incredible flavor and it's hard to replace that flavor with turkey bacon. So when it comes to the bacon, go with the real stuff. You'll love how easily and quickly this recipe goes together. It's something you can quickly throw together on a busy night. Once you learn this method, you could also make your own savory muffins, such as pizza muffins. Just be creative. 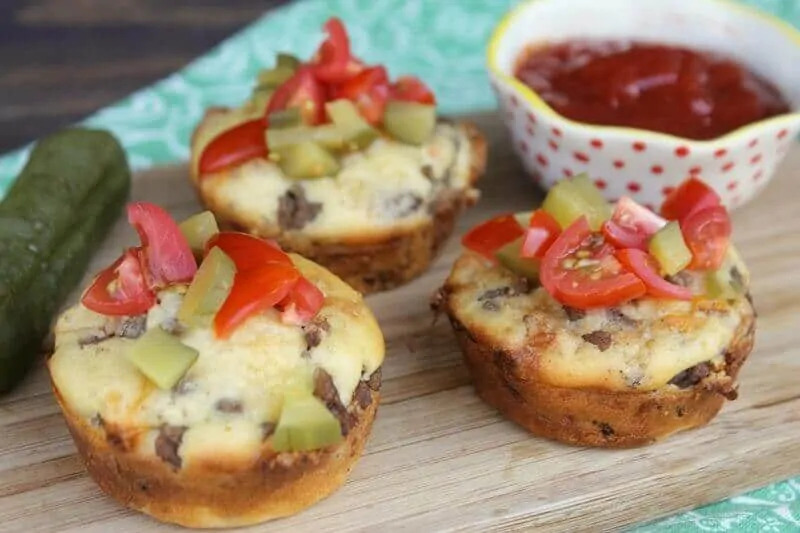 Top these cheeseburger muffins with all your favorite toppings. You could drizzle the cooked muffins with ketchup and mustard or mayonnaise. Add some pickle spears on the side along with some French fries and you've got a complete meal. 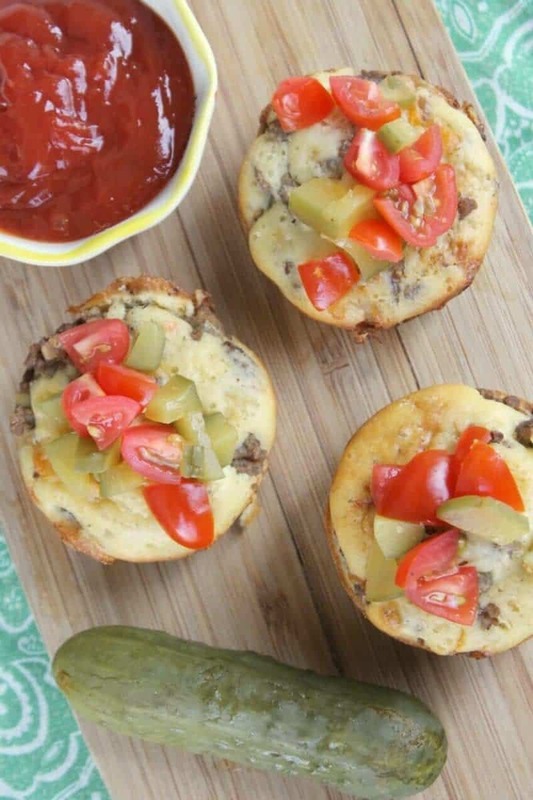 These Loaded Cheeseburger Muffins come together in minutes and make for a fun and kid-friendly lunch or dinner recipe perfect for busy families. In a medium skillet, brown beef, sausage, garlic and onion over medium-high heat. About 5 minutes. Drain. Return pan to burner and cook bacon. Allow to cool. Chop bacon and add to meat mixture. Stir in Worcestershire and soy sauce, salt, and cheese. In medium bowl, add in dry ingredients and mix well. Add wet ingredients and mix well. Fill the bottom of each muffin cup with baking mixture. About 1-2 tablespoons. Add in about 1/4 cup burger mixture. Top with 1-2 tablespoons of baking mixture. Bake about 30 minutes or until muffin tops are golden brown. Cool 5 minutes. Serve with all your favorite cheeseburger fixings! Oooh these look so yummy!!! Thanks for sharing! This quick and easy recipe was pin worthy! Yummy for the whole family! First we get some hamburger buns or English muffins. Second we add some ingredients of our favorite ingredients chopped up small. Third we used Ragu or some kind of yummy sauce and cover the bun. Fourth we top the bites with lots of mozzarella cheese. We sprinkle some Oregano on top, but not required. Line them up on a cookie sheet and put them in a preheated oven at 450 degrees. Bake for 15 minutes or until done. You’ll know by looking at them. Enjoy, but be careful! They will be hot, especially the melted cheese! Kids love these and so do adults! Quick, easy & tasty! Yes, I’m always looking for something different from our normal! These sound very interesting. And no doubt they'[d be fun! I can’t wait to make these! They will be perfect for the lunch box once school is back in session!